We are lovely little family-like hostel. We are situated on first floor of old (early 20th) building and we have no other neighbors on the same floor. We have opened summer 2014, and we have made everything with taste and usability. Our administrators are always friendly and anytime they can help you with your needs. We are located in 15 minutes from Moskovskiy (Central) railway station, in 5 minutes from Nevskiy and in 15 seconds from subway station. Basically you can get in all Saint Petersburg downtown by feet. All this districts, streets and building are famous because of Dostoevskiy. Exactly here this famous writer was walking and get inspired for his 'Crime and Punishment', 'White nights' and for many others. There is no more central than us! 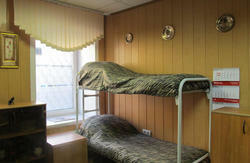 And at the same time we are situated in quiet yard, so the noise of big streets, people or kids will not disturb you. We have standard rooms. In rooms there are natural wooden bunk beds. We have orthopedic mattresses (very comfortable!). We have parquet floor, and new furnishing. Kitchen is shared, there is fridge, cooker, microwave and all the dishes you may need. Housekeeping is daily. We have two bathrooms and two toilets. Cleaning is made several times a day, and antiseptic spray is used in bathroom after each person. We provide you with crocks, so you can leave yours home. Also we provide all guest with bed clothing and towel for free. Check in is at 13:00. 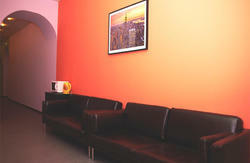 All the rest time of arrival, departure is charged 50% of room price per night. 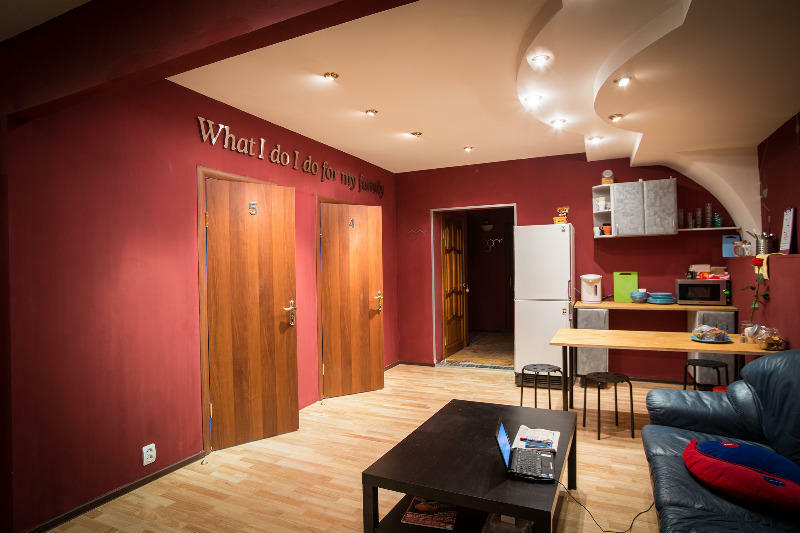 We are situated in the building next to Vladimirskaya Subway station. Turn left, when you are out from Staion and go down by B. Moskovskaya str. until first arc with to the left. Enter code 3715A and go through arc to the first entrance to the right. There call 21B we will open and welcome you.